Fast becoming a regional leader in orthopedic surgery, St. Luke's Hospital and the orthopedic surgeons with Rosenberg Bone and Joint are offering patients exciting new procedures in hip and custom-fit knee replacement for outstanding outcomes with shorter hospital stays and improved recovery period. With a goal to improve and reduce recovery time and post-op pain for his active-minded patients, Brian Rosenberg, MD and Thomas Cadier, MD, have worked closely with St. Luke's Hospital to create an excellent patient care team including two Physician Assistants and Nurse Navigator to work with dedicated perioperative, nursing and rehab staff to ensure his patients experience consistent outcomes, reduced hospital stays and a faster recovery. 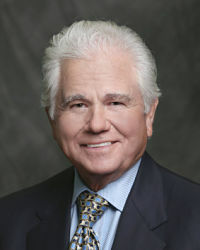 Board-certified, Dr. Rosenberg is a leading surgeon in the Southeast to perform the latest techniques for hip replacements known as Direct Anterior Hip Replacement, a relatively new procedure in the United States. Progressive and patient focused, Dr. Rosenberg uses advanced OR equipment, late-technology replacement products and indwelling pain pumps that reduce the need for pain medications. Patients are travelling across the county, the state, the country and even across the ocean to Polk County where, in less than five years, Dr. Rosenberg has performed more than 250 direct anterior hip procedures. 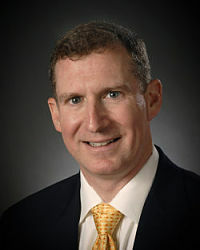 Now sharing his expertise and techniques with other surgeons across the country, Dr. Rosenberg has successfully decreased post-op pain and recovery through minimal incisions, using no staples or stitches. There is reduced risk of the following: dislocation; blood loss; tissue damage; and muscle trauma. Another new breakthrough in knee surgery is available at St. Luke's Hospital, one of the first hospitals in the southeast (and the first in NC!) providing this medical advancement. For Baby Boomers, retirees, sports nuts and the injured, Dr. Rosenberg is giving his patients a customized total knee replacement. Male, female, large or small, a custom fit knee replacement means these patients have a tailor made replacement that fits like a glove. This custom knee procedure has tremendous benefits to patients, including a quicker, less painful recovery, increased range of motion, a more "natural" feeling knee and greater ease in performing normal living activities such as a golfing, biking and gardening. In addition to successful outcomes for knee, hip and shoulder problems, general fractures and sports injuries, our surgeons have very high patient satisfaction ratings because of their demeanor and willingness to help patients understand complicated medical conditions and procedures. Patients also appreciate the personal attention they receive from the pre-op preparation class to their hospitalization and follow-up office visit. For more information, please call 828-894-3718 or 828-894-0972 or email.